A wedding reception will not be complete without an eye-catching wedding cake. Depending on your style and the wedding theme, your cake table should be styled accordingly. Still unsure of what wedding cake table design you’re gonna push through with? Let us help you by sharing ideas that could spark some inspiration! Nothing beats the classic simple white cake placed in a simple linen of the same color. In the photo above, we paired our white special table linen with this special cake from The Batter Up Cakery. The result is just this pure, clean, refreshing, and elegant wedding cake table. You can also add some style to your wedding cake by adding some of our silk velvet ribbons to add some design and fun to it. If you’re the classic and simple kind of bride, this set up is the right one for you! Having a cake and table linens of contrasting colors is a smart choice in order for your wedding cake to standout. 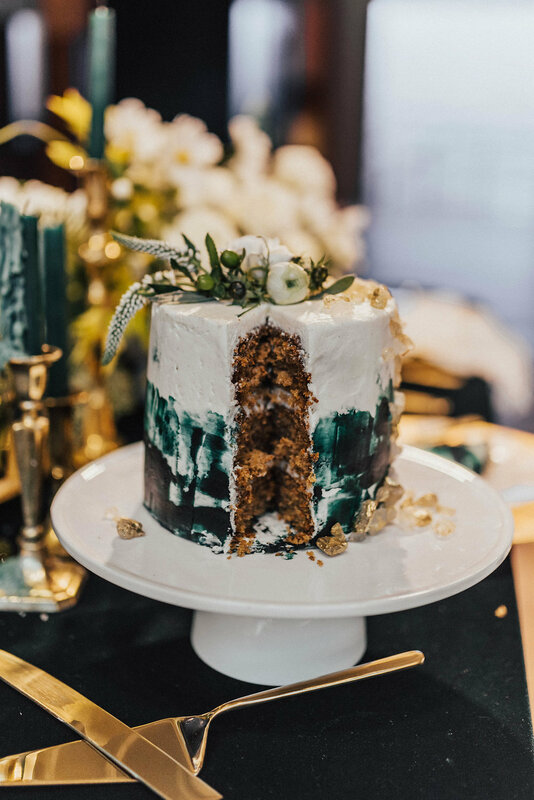 This wedding cake right here blended perfectly with the table linen and it didn’t even need its own table! See how the white cake stand and the cake itself stands out because of the dark velvet linen? This design will surely bring unity and elegance to your reception cake table! If you’re one of those people who are down to try creative and new things, then why not transform “non-table” things as your cake table? It will be a great twist for the reception design and an absolute eye candy on photos! 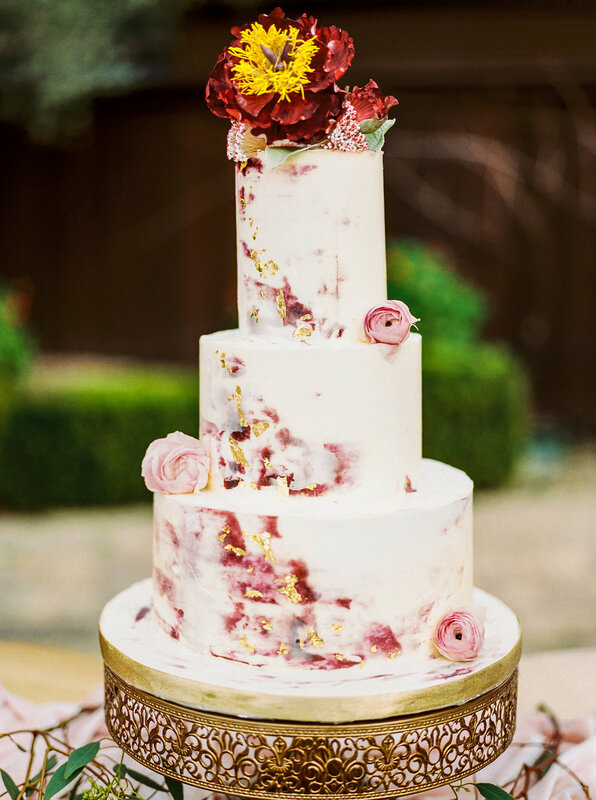 Just like this cake on one of our styled shoots, it was placed on two barrels. The barrels were then designed with our silk table runners and used a gorgeous gold cake stand to make everything perfect. Sometimes the tiniest details make a big difference! There has been a trend nowadays on using small wedding cake tables instead of those grand ones that we usually see in receptions. The logic behind the small tables is because it will emphasize and make the wedding cake look larger. A simple small wooden table along with a complementing cake stand an our silk table runners would go a long way! With this design, any cake size or design will definitely stand out! Based on our experience, the best way to design a wedding cake table is to use medium to long sized tables and decorate it with table runners of your choice. Depending on your taste, there are various table runners to choose from! Be it silk, Silk velvet, gauze, or even faux leather, a table runner will surely transform your wedding cake table into an absolute beauty! Luckily, here in party crush studio, from cake stands to different table linens and runners, we got you covered! Have you decided on a wedding cake table yet? Let us know and we’ll be more than happy to help!